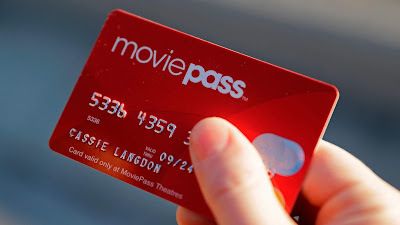 MoviePass Ran Out Of Money Last Night, Did You Notice? Did a whole bunch of you try to use your MoviePass last night to see Mission: Impossible-Fallout? How'd that go for you? Because for many subscribers to the service found that the only thing impossible was their ability to do so. In short, MoviePass ran out of money last night. MoviePass tried to hide what happened by tweeting that the difficulties were technical rather than financial. Because how quickly would their subscribers flee if the company tweeted "Who got snaps on the petro?" like MC Eiht in Menace II Society? Actually, that would be kinda awesome. Financial issues have always dogged MoviePass, and the emergence of similar competitors hasn't helped. But Helios & Matheson have always maintained they were flush with cash and in it for the long haul. This does not appear to be the case.